Are you addicted to the world of the World of Warcraft? A specialised gaming rehab centre has just opened in Vietnam's Ho Chi Minh City, the first of its kind in the country. Gaming addiction centres are popular in other Asian countries such as South Korea, Japan and China, where millions of gamers, both young and old, spend inordinate amounts of time living in fantasy massively multiplayer online (MMO) worlds. There are an estimated 6 million regular MMO gamers in Vietnam, mostly in the teenage 13-18 age bracket. Huynh Hong Hiep, from HCM City's Southern Youth Centre was responsible for setting up the gaming rehabilitation facility, with the treatment based on developing gaming addicts' personalities through involvement in social work, music, painting, dancing and sports. There are currently 50 young people at the centre for an eight-week rehab course. 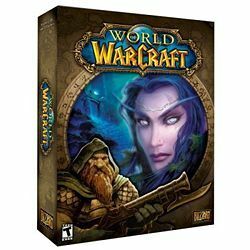 The issue of gaming addiction has hit the headlines in the mainstream press again this week, following the launch of Blizzard's latest add-on for the mighty World of Warcraft.